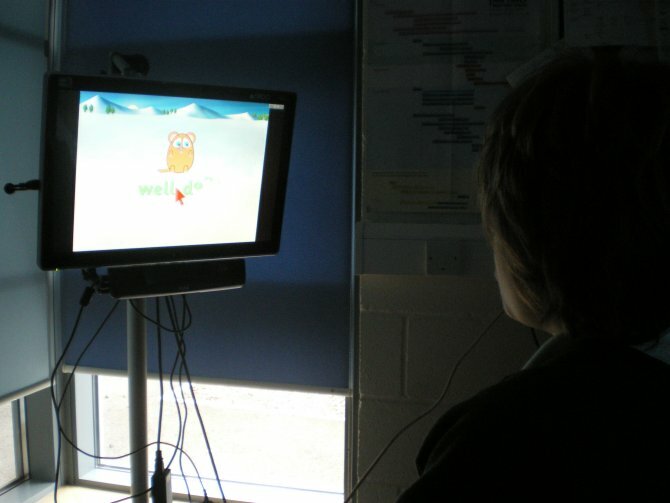 We often visit schools to help individual students but we also arrange eye gaze clinics, where a member of our team will bring a classroom device and support many children to try eye gaze throughout the session. Not only does this provide more opportunity for students to access technology in a new way, but it also enables teachers and speech and language therapists to see a range of activities at different levels with the support of a specialist. Ella is twelve years old, with ASD, learning difficulties and (at the time of writing) no speech. She does have some understanding of verbal language however, and is a very good symbol user. She has always loved books – particularly picture dictionaries which she studies intently. 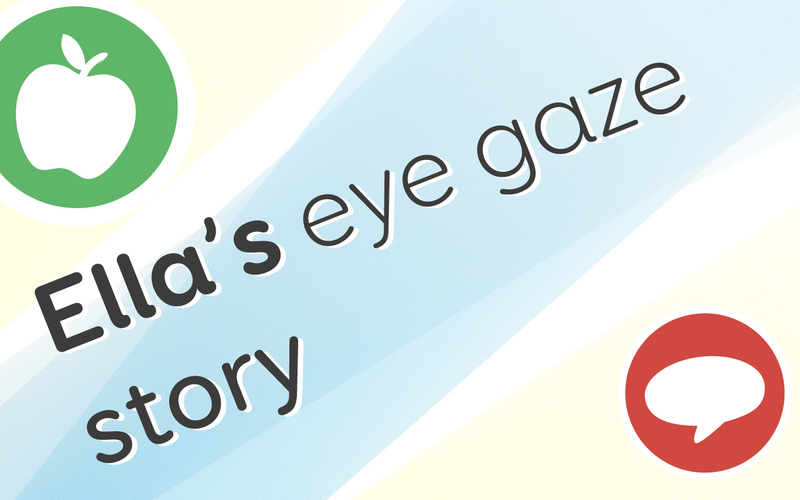 We hosted an eye gaze clinic at Fiveways School so Ella was able to trial the software. We saw her control the cursor to track words and sentences on the computer screen. As she read instructions on the screen and then completed tasks successfully, the school’s expectations of Ella were completely transformed. This task proved that she had been learning the words all along, not just looking at the pictures and symbols as previously thought. Ella is now visibly enjoying new challenges and is learning rapidly.